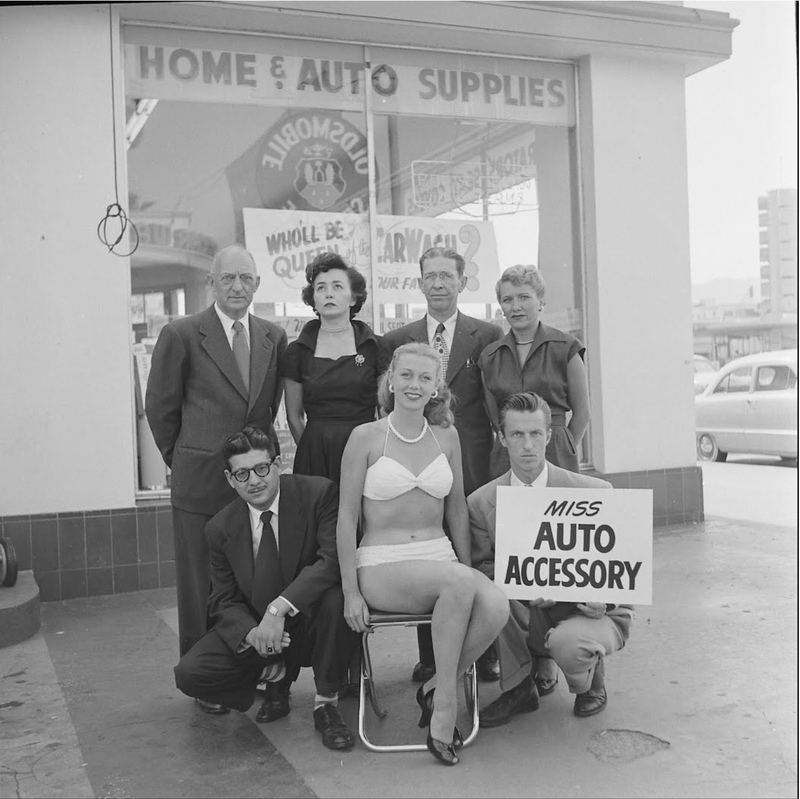 I’m not sure what to categorize this under, except for “Art & Inspiration”. 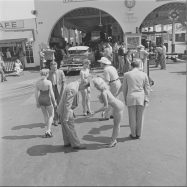 A few of these images have appeared on the HAMB before, but I finally got both the entire story and the entire series of pictures (which I really had to cut down!). 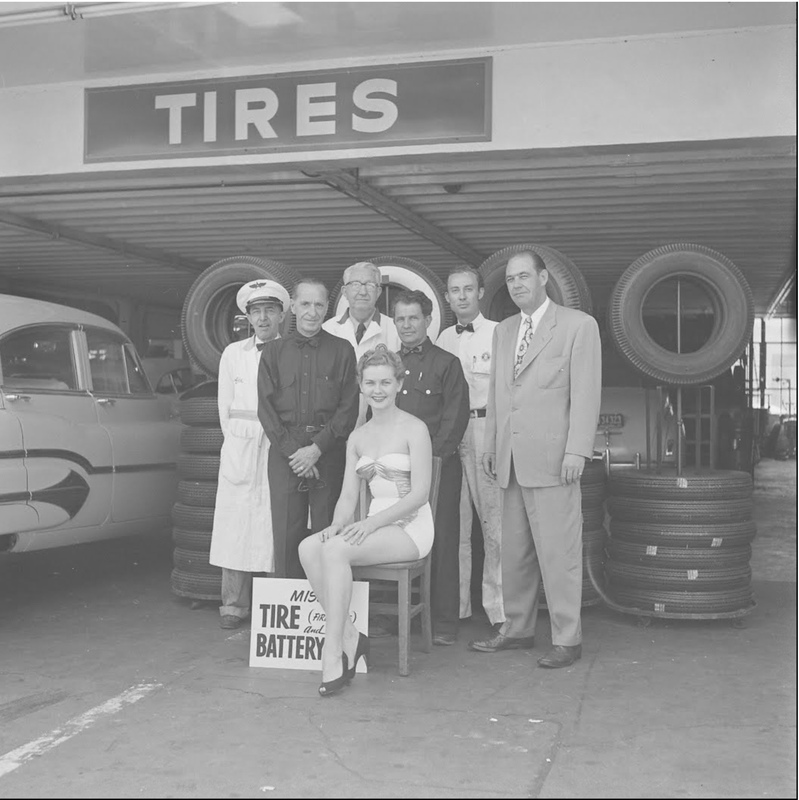 The Muller Bros. was located at the corner of Sunset Blvd. 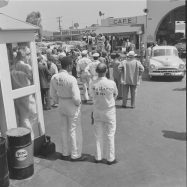 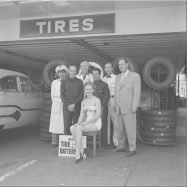 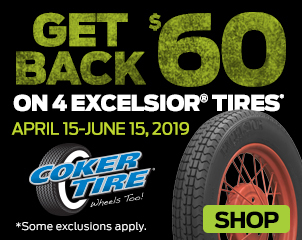 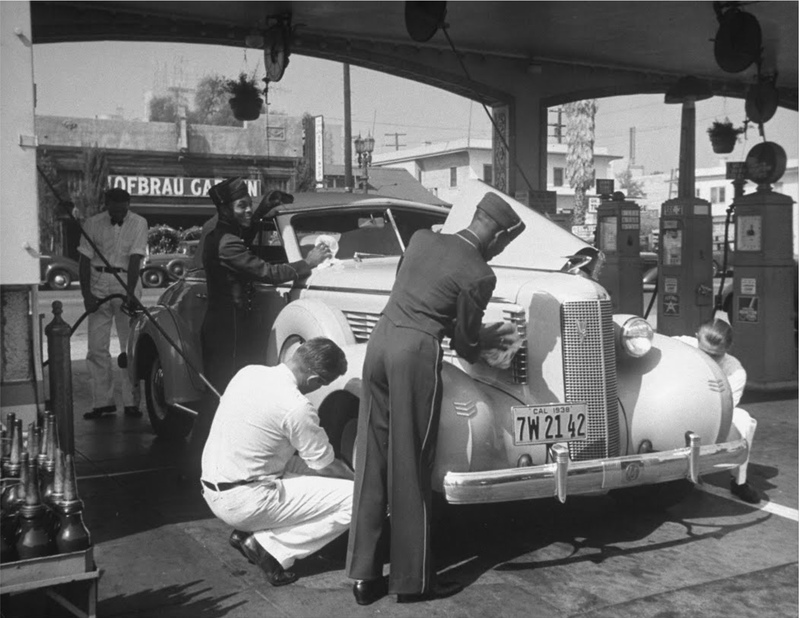 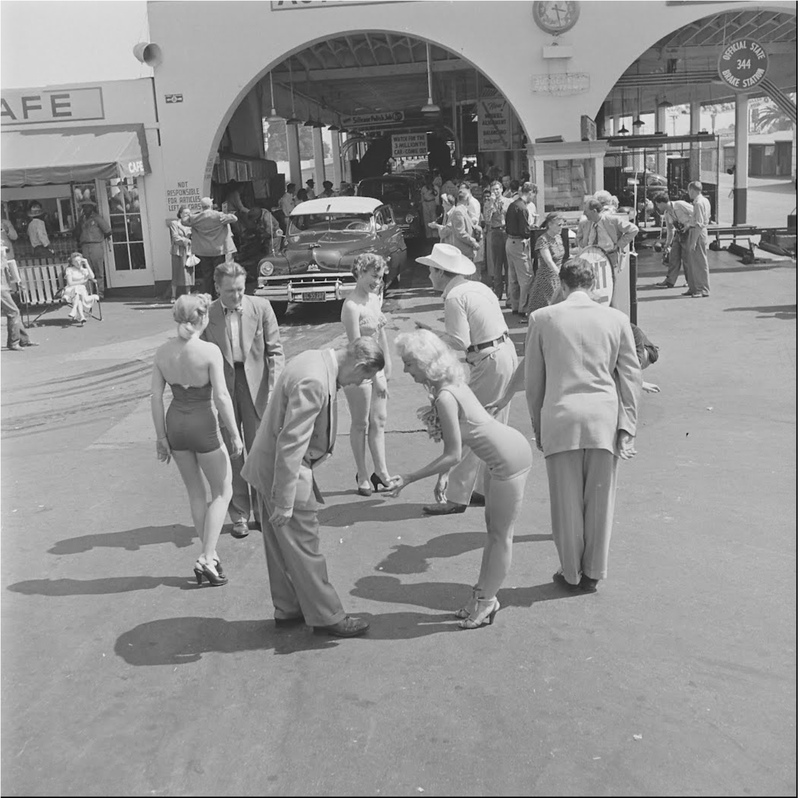 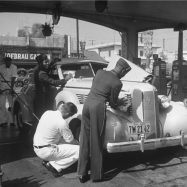 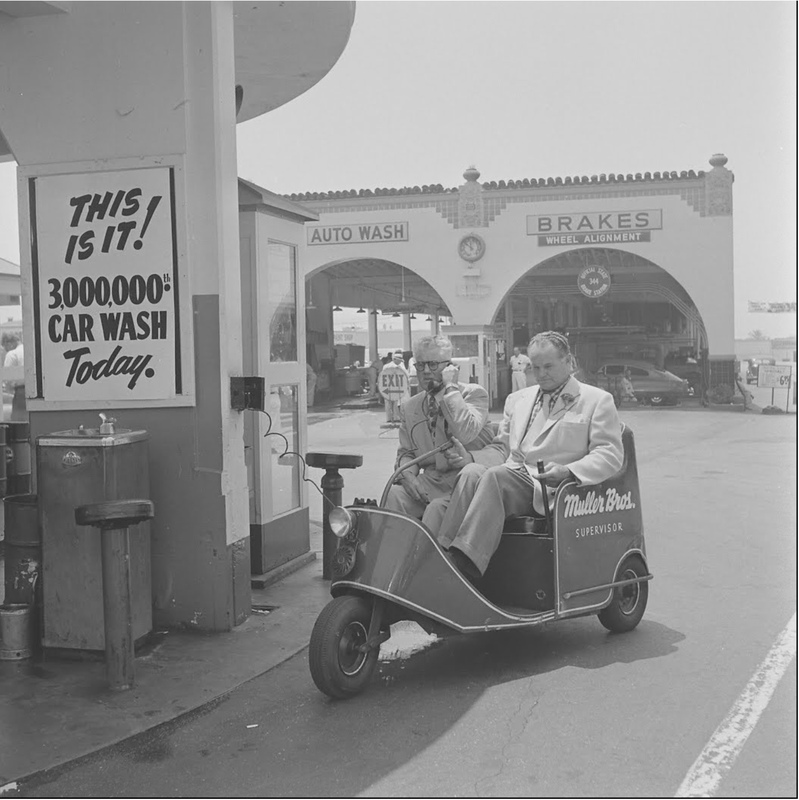 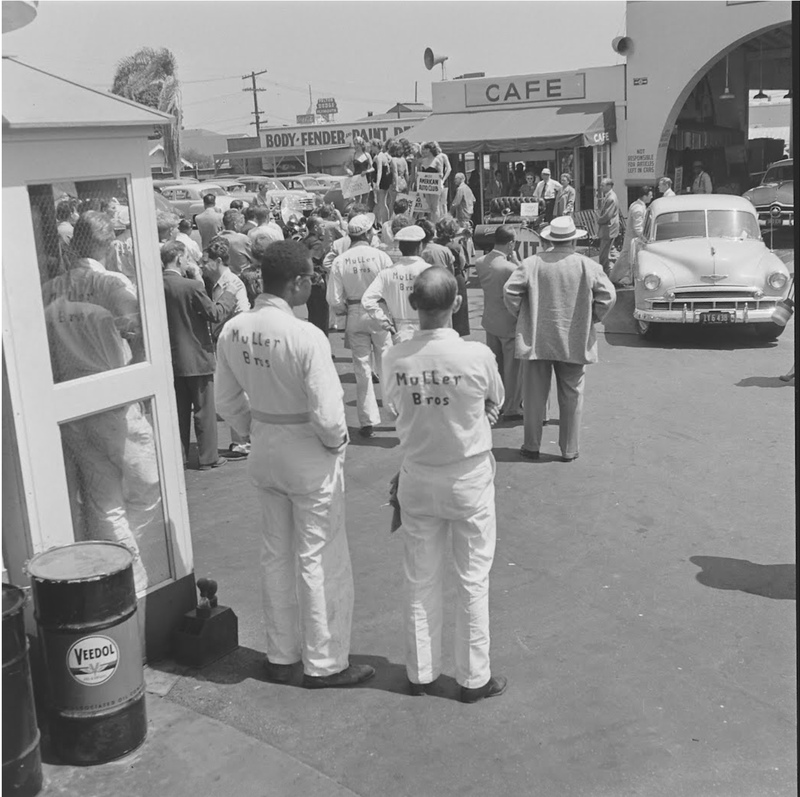 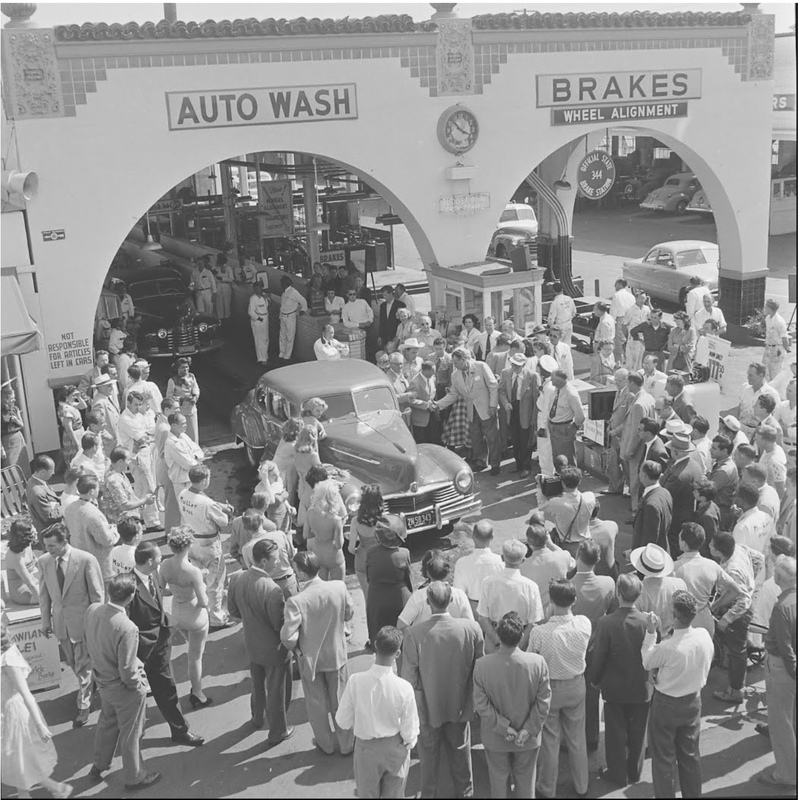 and Ivar Ave. near Hollywood Boulevard in L.A., was much more than a car wash… It was also an Oldsmobile dealer, Firestone tire store, service station, body shop, and car parts store all rolled into one! 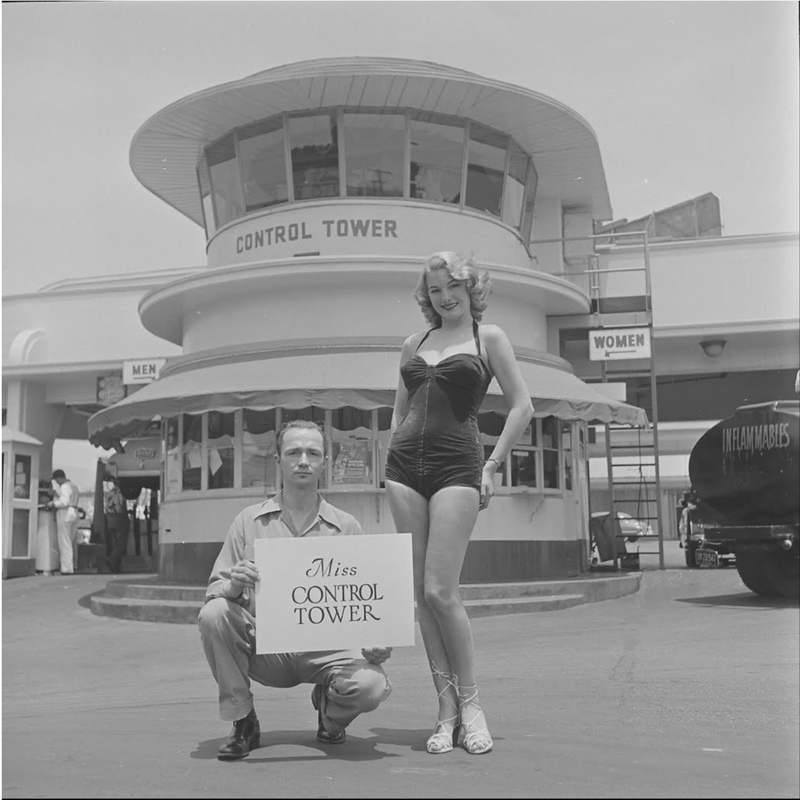 Think of it as a mega-mall for all things automotive, known as “The Landing”, and complete with it’s own control tower overseeing operations. 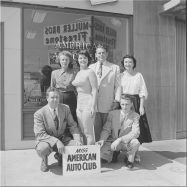 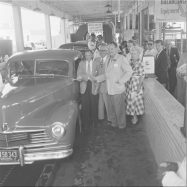 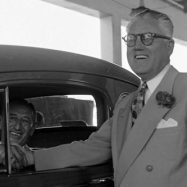 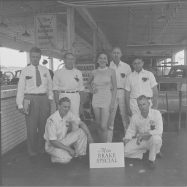 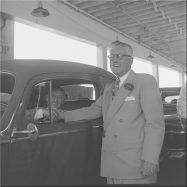 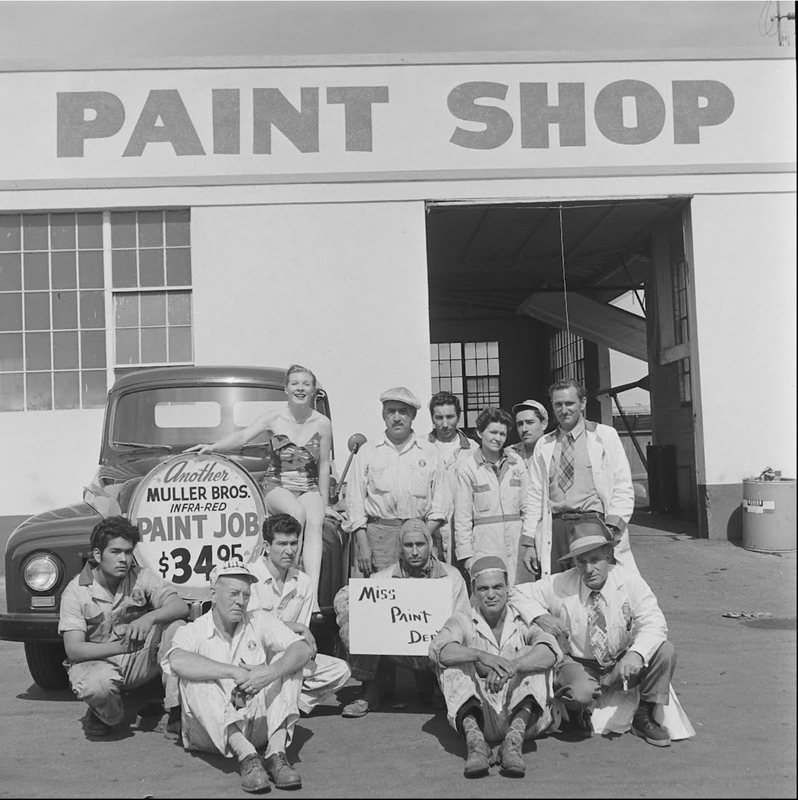 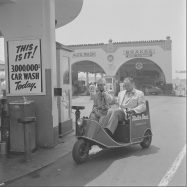 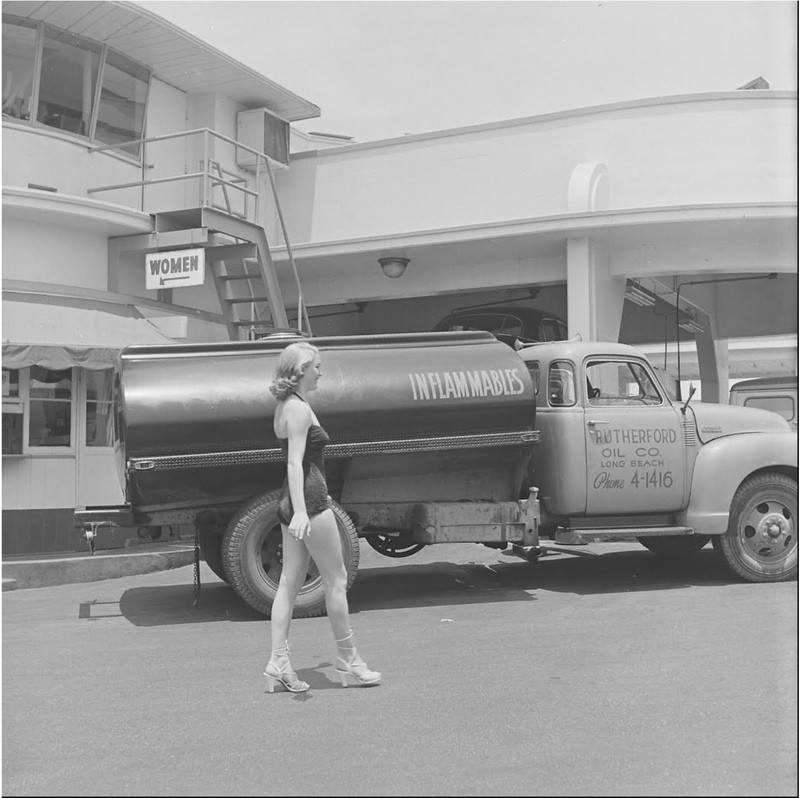 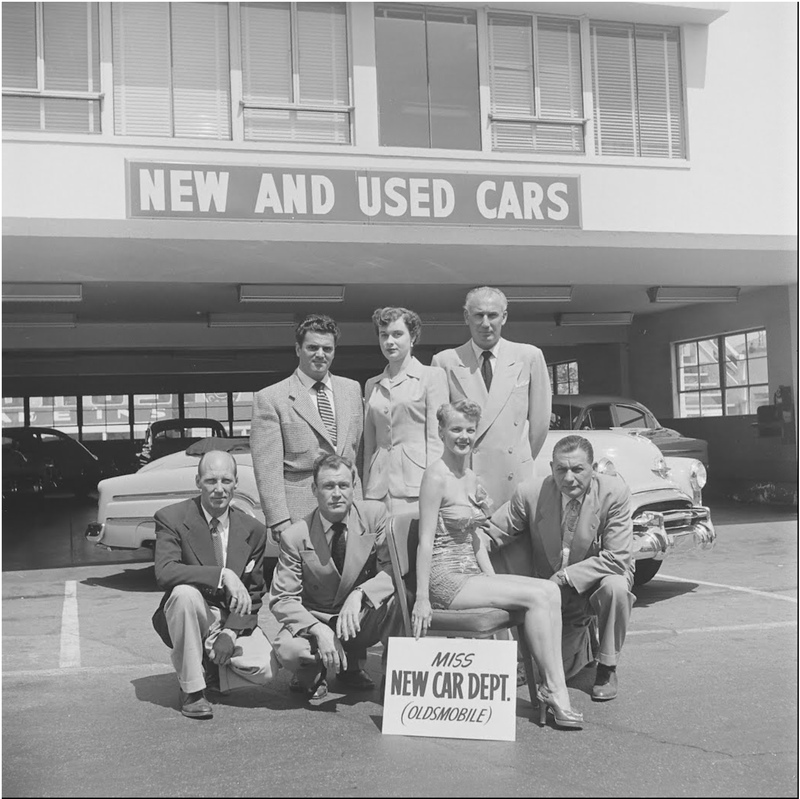 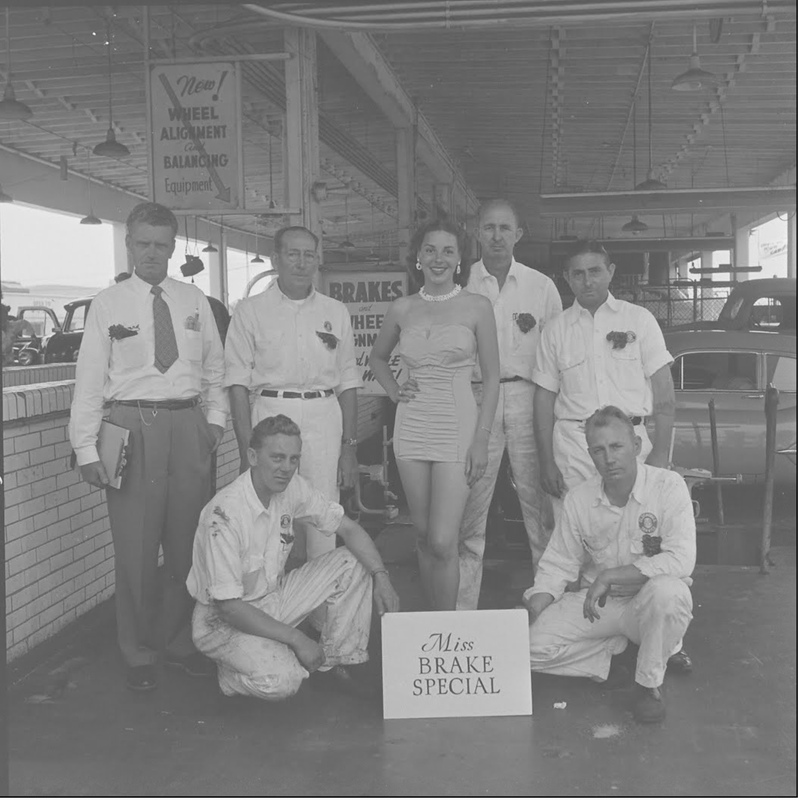 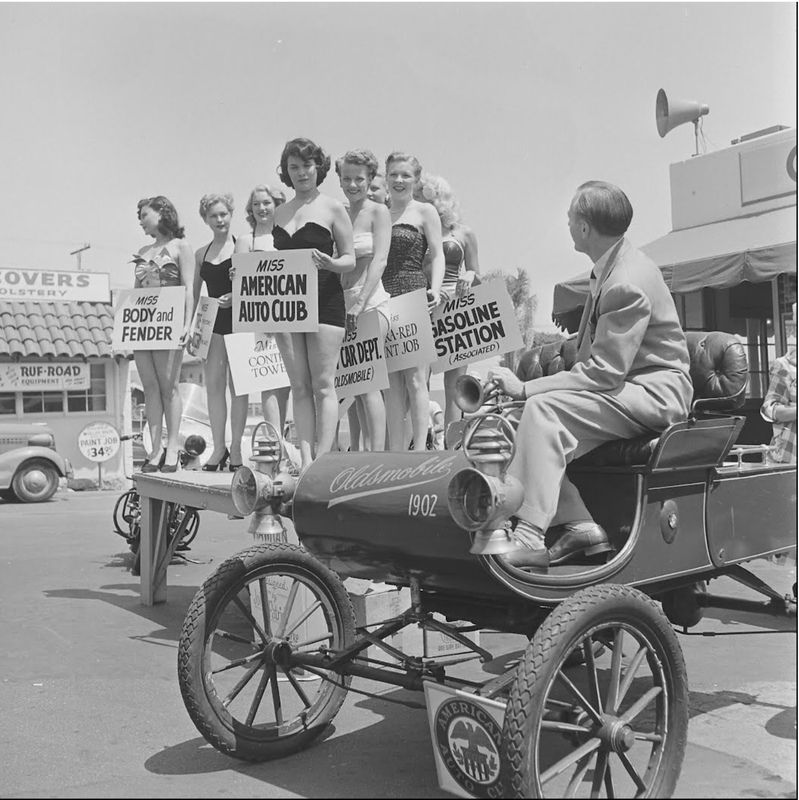 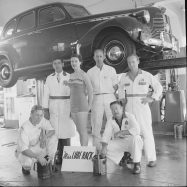 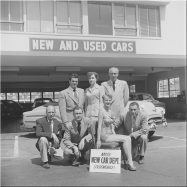 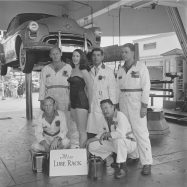 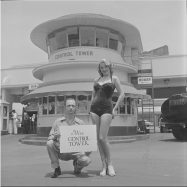 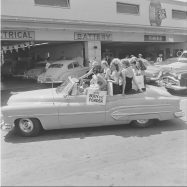 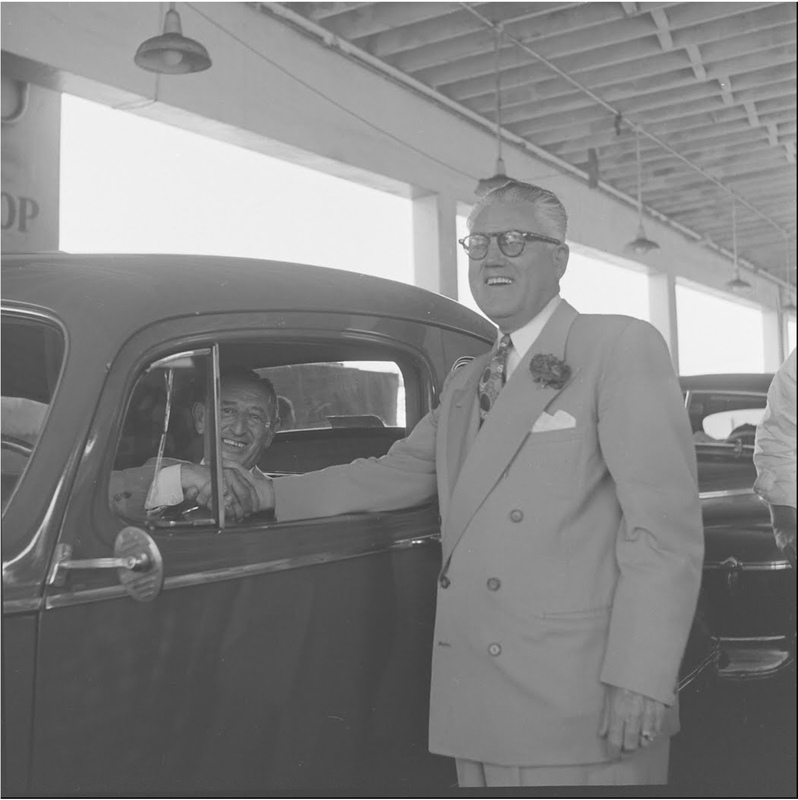 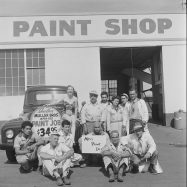 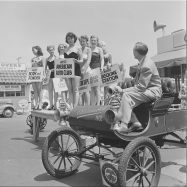 In 1951 the brothers hatched a promotional idea to hold a beauty contest recognizing the 3 millionth car to be pulled through its car wash. Some lucky old man in his ’47 Hudson had a really good day he could never tell his wife about. 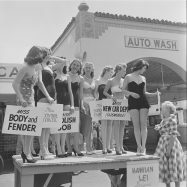 Life Magazine sent Allan Grant to, uh, ‘document’ the occasion, and we get to benefit from it. 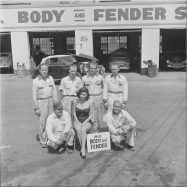 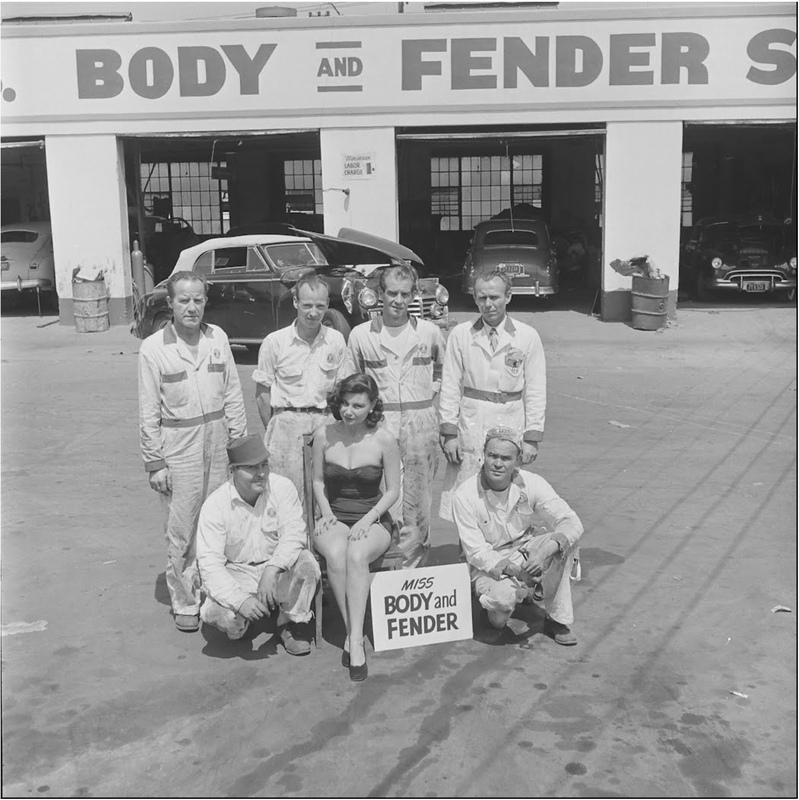 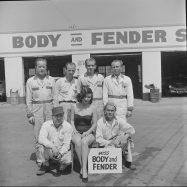 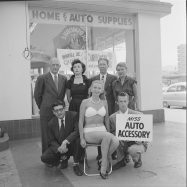 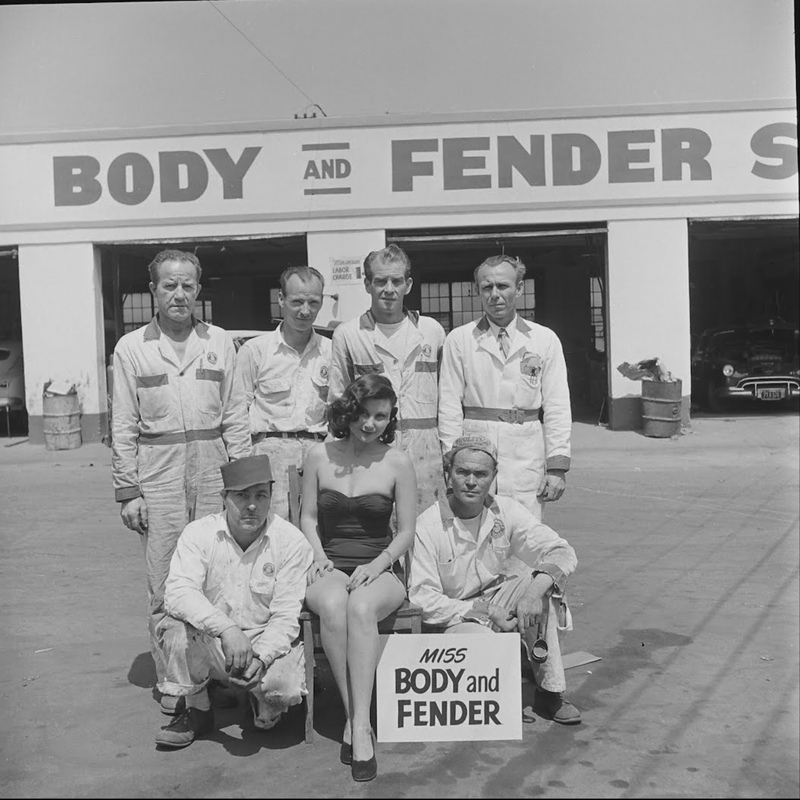 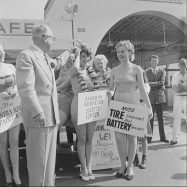 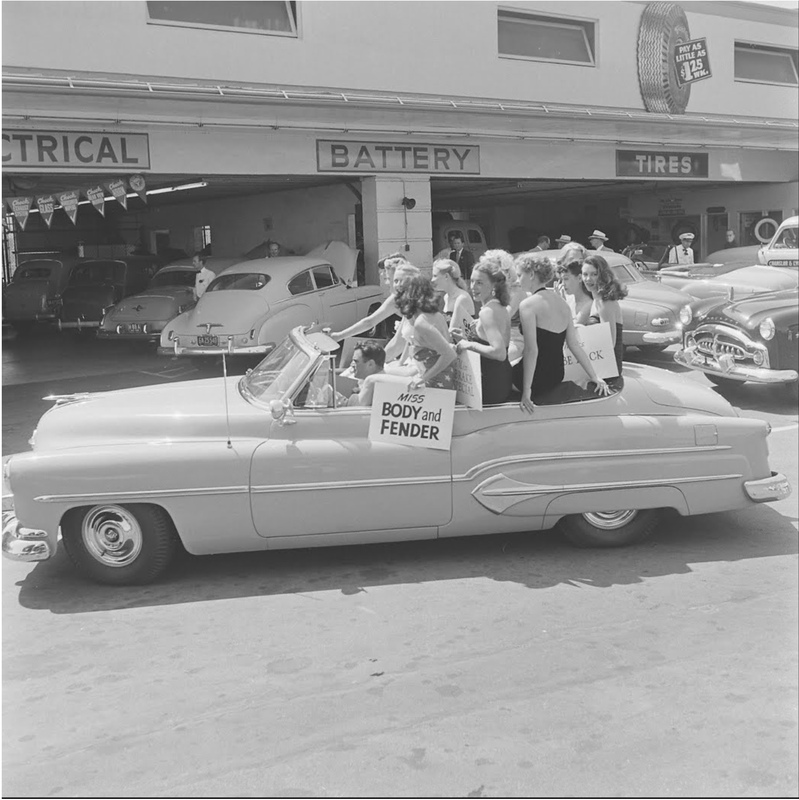 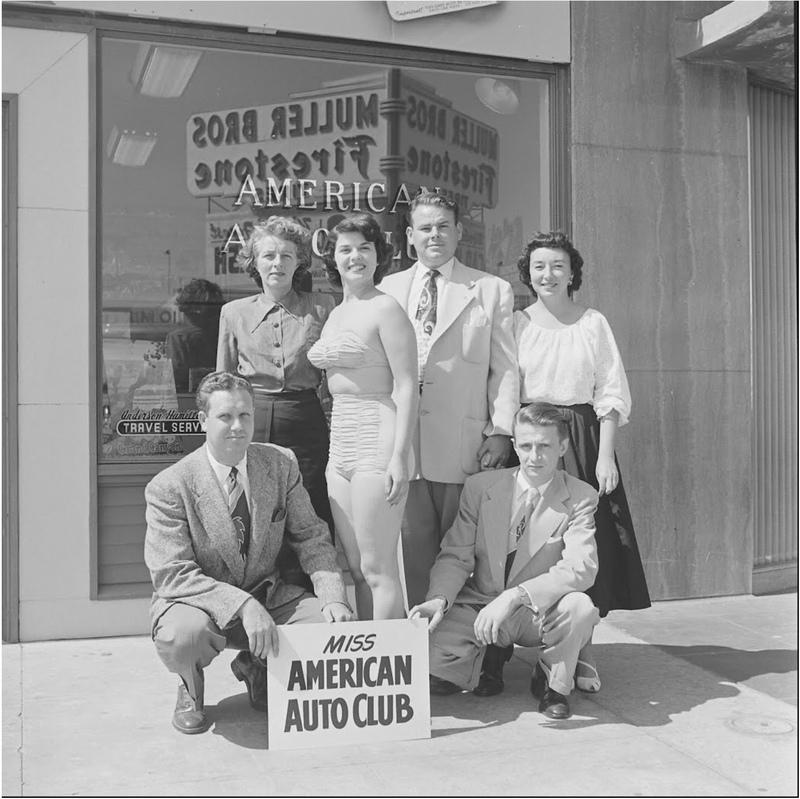 Among my favorite pictures are ‘Miss Lube Rack’ and ‘Miss Polish Job’ (these poor models must have heard about it for years), as well as ‘Miss Auto Accessory’, not for the model, but for the seething anger on the faces of the wives behind her… Enjoy!